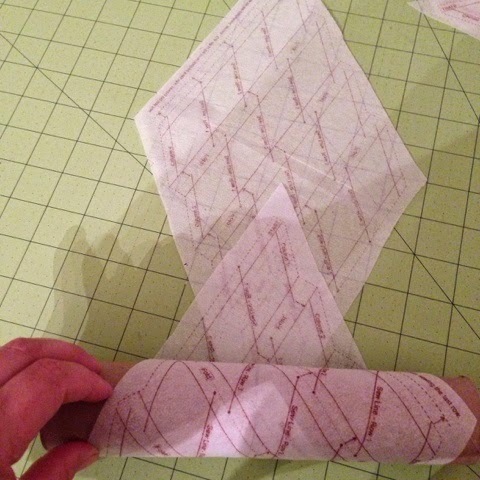 A few weeks ago I posted about organizing and protecting Quiltsmart borders using toilet paper rolls. Tonight I was working on cutting apart Bitty Broken Lone Star panels and knew that with 8 star "points" (or diamond shapes) cut out, and more to do later, I'd need a way to keep them from getting torn or lost, especially since I'd decided to start this project over Spring Break when I have a lot more distractions. 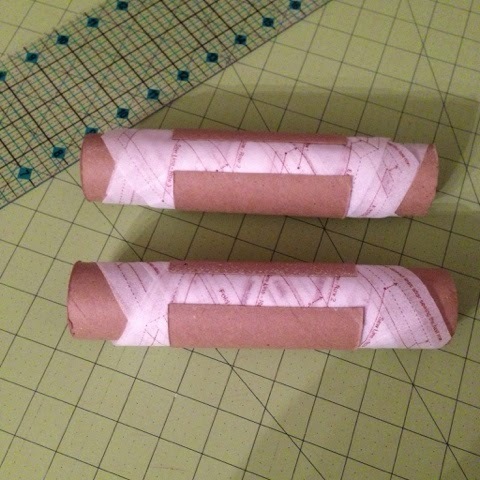 I decided to see if possibly taping two toilet paper rolls together would be wide enough for the dimaonds. It was the perfect size, because lets face it, with a kid in the house we go through a lot more toilet paper than paper towels, though paper towel tubes would work as well. 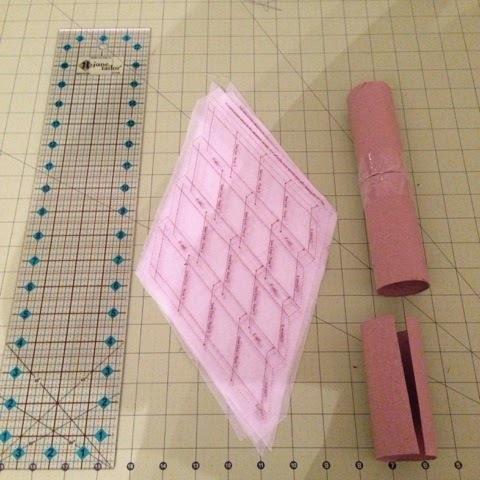 By rolling them with the fusible side up (or facing the tube) and then overlapping the diamond points a few inches, the fusible side was able to catch the previous diamond and I rolled 4 diamonds on each tube. 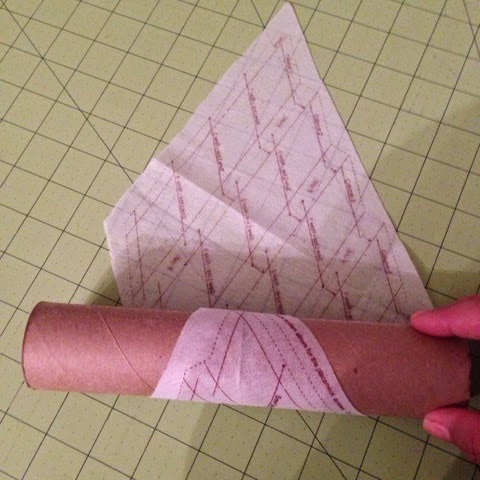 Then I cut a third toilet paper roll and used it to keep the dimaonds from unrolling. I don't think I am ever going to throw toilet paper tubes away again! !